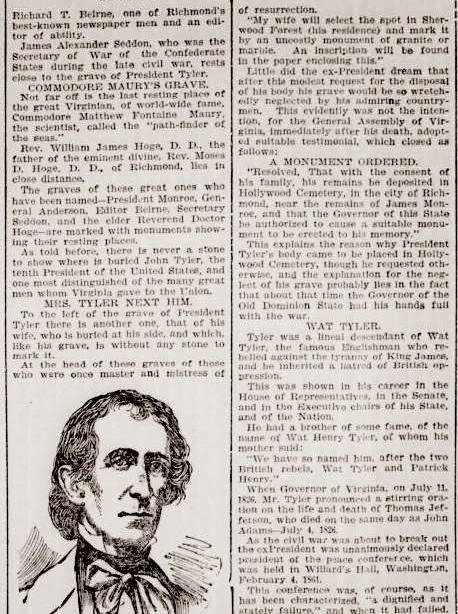 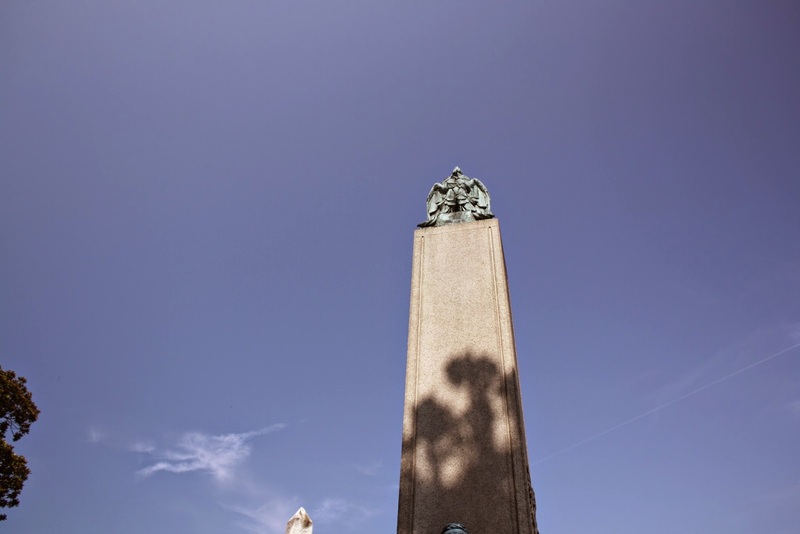 Former President John Tyler is buried in Richmond’s Hollywood Cemetery atop a hill facing the James River, his mammoth obelisk towering above the surrounding markers. 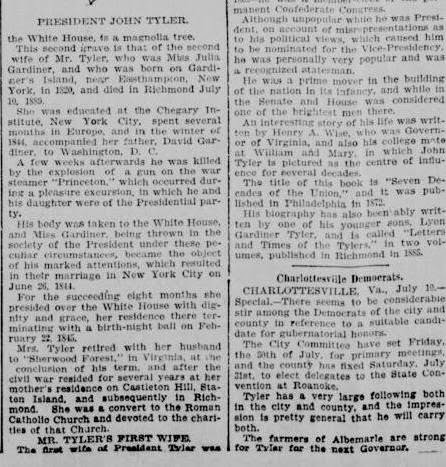 There is no shortage of biographical information on the tenth President, who was once referred to by Theodore Roosevelt as a “politician of monumental littleness,” so I’ll focus on Tyler’s eternal resting place instead. 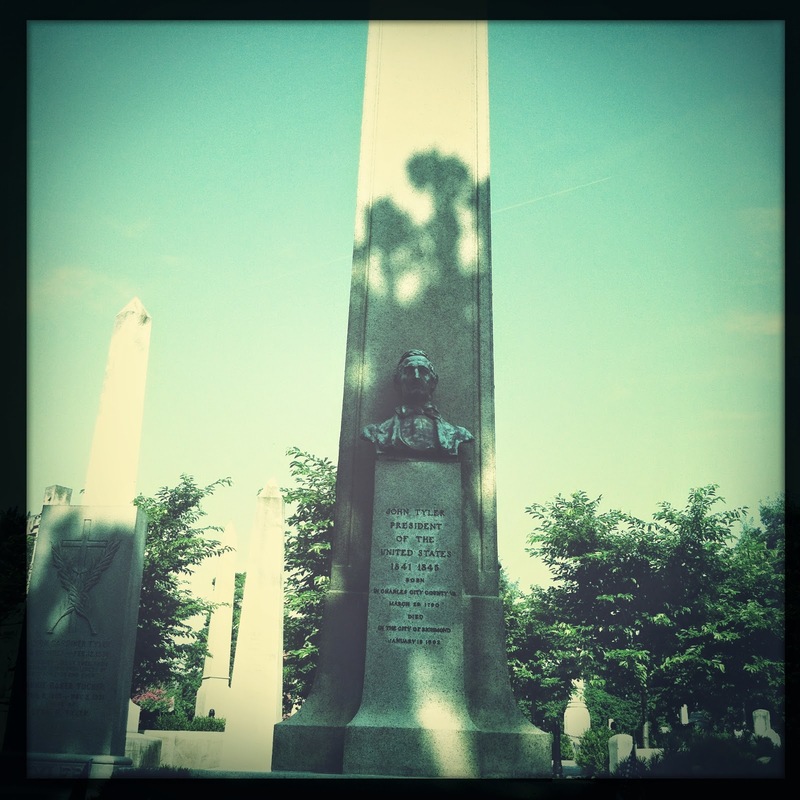 Here are a few that I took with my phone, which were first posted in Images From Hollywood Cemetery. 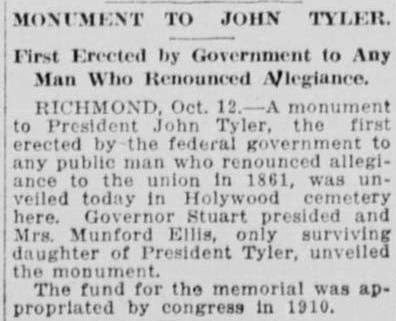 Tyler’s grave wasn’t always marked with such an impressive monument though. 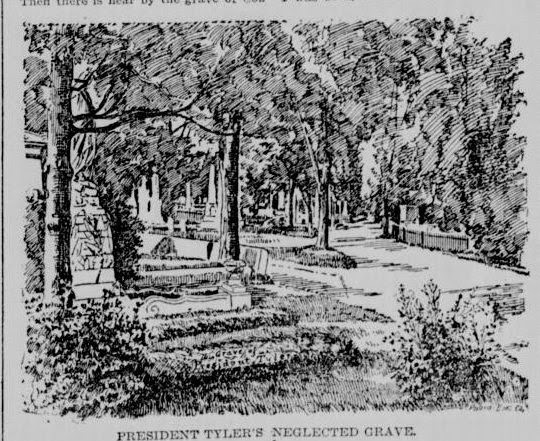 This illustration accompanied an article widely reprinted in newspapers in 1897. 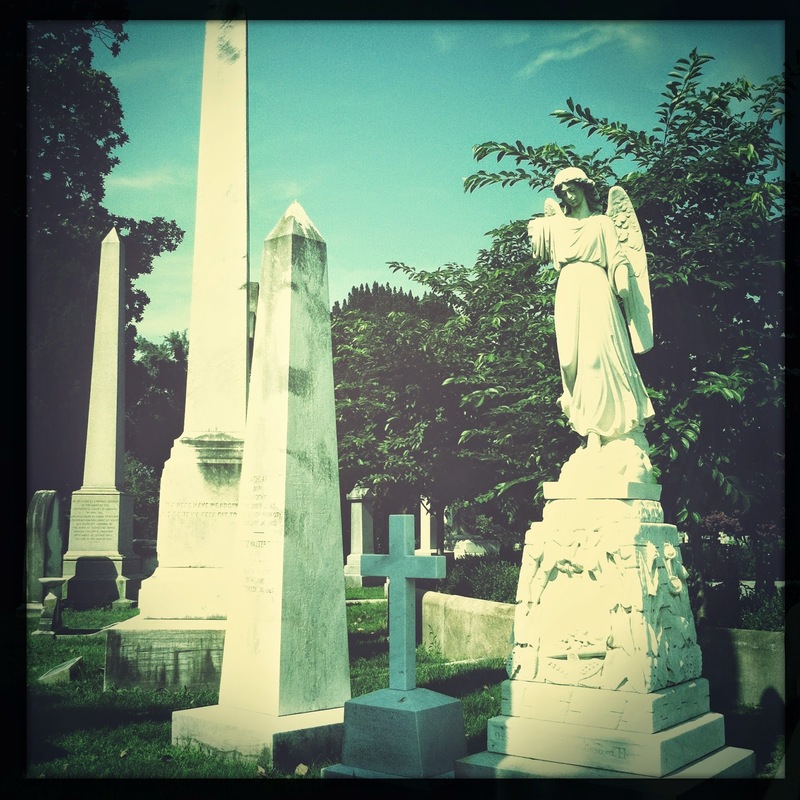 It looks like his daughter Julia’s angel/surrogate mourner is at the left of the image, just behind the tree. 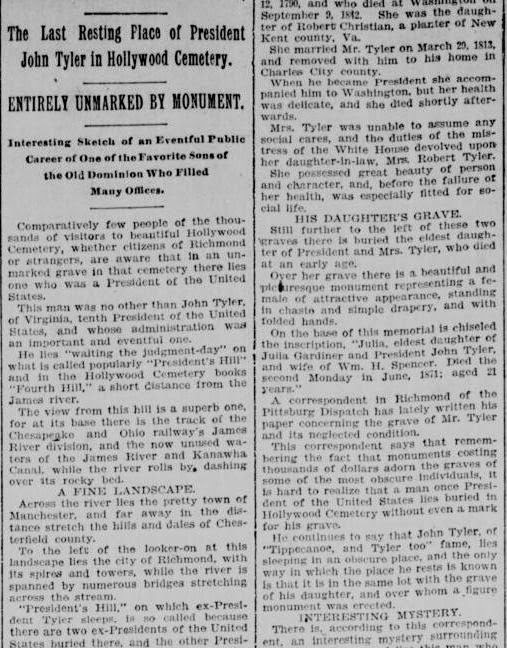 John Tyler wanted to be buried on his property at Sherwood Forest in a location selected by his wife memorialized with “an uncostly monument of granite or marble.” After his death in 1862 from a stroke his body was interred at Hollywood. 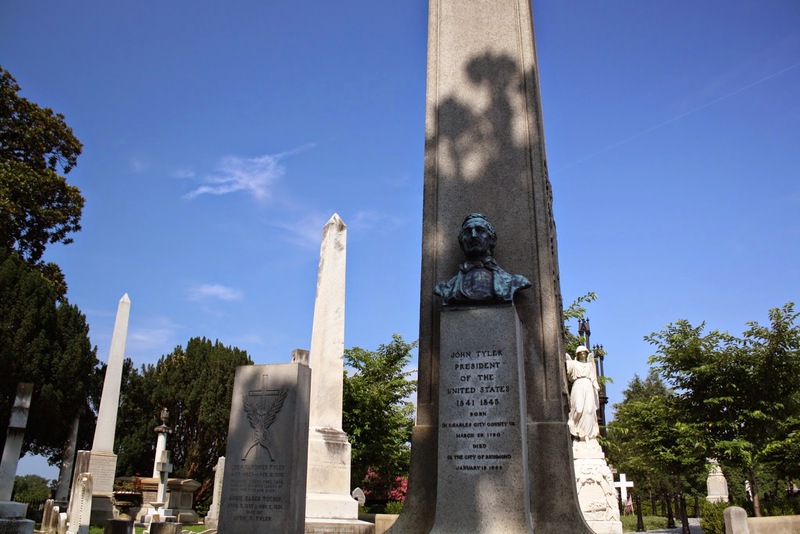 The General Assembly of Virginia originally planned to erect some type of monument, but their focus at the time was on the war and not placing headstones. 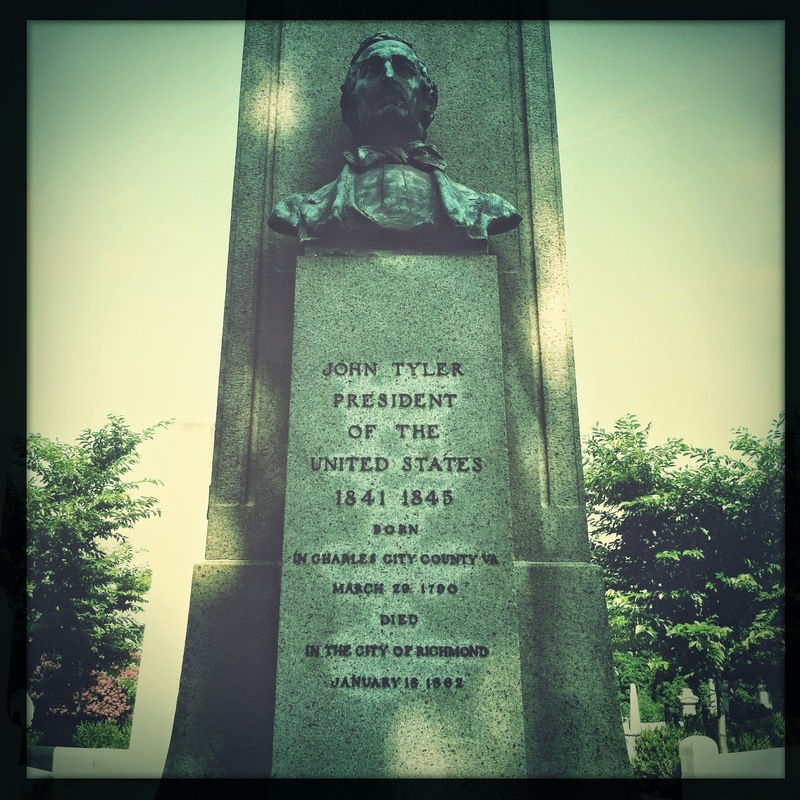 It wasn’t until 1914 that plans were made to build John Tyler’s marker. 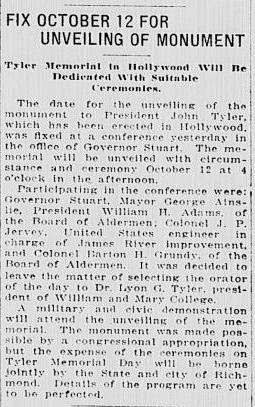 The following article reported that the idea was to reveal the monument in March 1915 on Tyler’s 125th birthday, but it was October before the actual unveiling occurred. 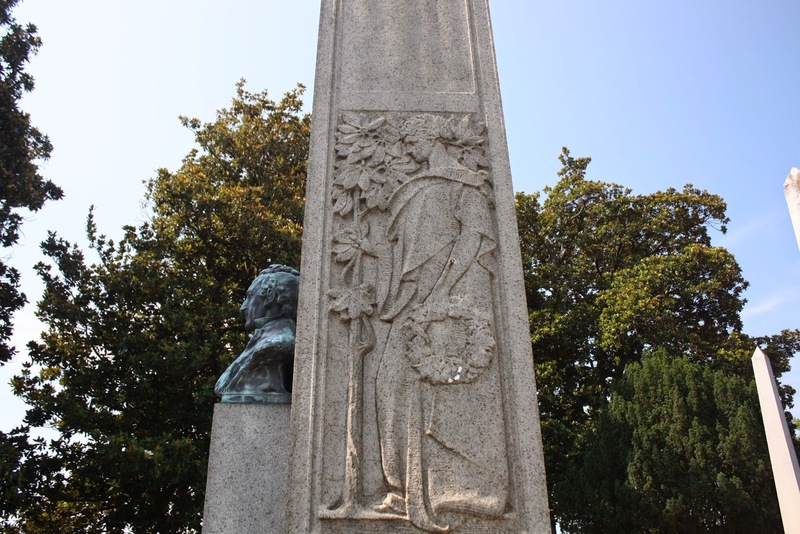 Next Next post: "The Bier Where Beauty and Grace Lie Cold and Dead"